The other day I went to a wedding reception for one of my cousins. While we were waiting for the stars of the show to arrive, a man dressed in a white shirt, dark suit and tie walked up to my family. I had brought my sister, who isn’t very familiar with the Mormon, or LDS church other than the few conversations we’ve had and the times she has attended church to see our kids get blessed (dedicated) when they were babies. My sister looked at him as if he had spoken a foreign language and said something to the effect of “well that’s great!”, and the conversation pretty much ended there. After he walked away, I explained what a Stake is in the Mormon church, home teachers, and also what a Stake President is. It made a lot more sense to her afterwards. I thought it was strange that he would introduce himself as the “Stake President” rather than his name, but that ‘s a different conversation. That conversation, along with a recent talk in church caused me to reflect on Mormon culture and how we have conversations with each other that other groups would be very confused by, even though we are all speaking the same language. For those of you who are not Mormons, but occasionally come in contact with them, or know some of therm, I thought a little Mormon Lingo 101 may be useful. The words and phrases I’ll share are from personal observation as a member of the LDS, or Mormon Church for over 25 years. The definitions I’ll cite from Mormonwiki.com. Also, there are a couple of other bloggers out there who have written about this too, so feel free to visit their sites. The ones I visited are: Minorproblems, Lightplanet, and an LDS forum on LDS.net. As I was digging around, I came across a lot of Mormon lingo, so just for a little fun, I’m going to have this post be Mormon Lingo 101 and subsequent weeks will be Mormon Lingo 201 for a bit more advanced Mormon lingo including abreviations on some of the terms I’ll site here, followed by Mormon Lingo 301 that is mainly found when one is serving a mission for the Mormon church. Mutual: Mutual is the term members of The Church of Jesus Christ of Latter-day Saints use to describe a weeknight activity sponsored by the Church for teenagers. Mutual got its name because it is supposed to encourage “shared experiences in which there is mutual respect and support for one another” (Church Handbook of Instructions, Book 2: Priesthood and Auxiliary Leaders , 187 emphasis added). FHE: Stands for Family Home Evening. It is a family night held weekly in Mormon households and Monday is the evening set aside for families to pray, play, and read scriptures together. Ward: A geographical boundary designated for Mormon congregations. Typical size is 300-500 members. Stake: A grouping of 7-9 Wards. “feeling the Spirit”: Phrase Mormons use referring to communications received from God leading them in their lives. Deacon: Male members ages 12-14 ordained to the Aaronic Priesthood. Relief Society: Womens organization for ladies 18 years old on up. They work together with the Bishop to help members in the ward in need. Relief Society President: Female leader of the relief society. The bishop’s “right hand man” so to speak for helping needy members of the ward. Home Teacher: Each male member of a ward is assigned a “companion”, or another male member. These two companions are then assigned 3-5 families in the ward to visit on a monthly basis to share scripture with and assist in other ways as needed by the families they visit. Visiting Teacher: Female members of the Relief Society are assigned companions and go visit other sisters in the relief society to give spiritual and temporal help. Baptisms for the dead: Jesus Christ taught that baptism is essential to the salvation of all who have lived on earth (see John 3:5). Many people, however, have died without being baptized. Others were baptized without proper authority. Because God is merciful, He has prepared a way for all people to receive the blessings of baptism. By performing proxy baptisms in behalf of those who have died, Church members offer these blessings to deceased ancestors. Individuals can then choose to accept or reject what has been done in their behalf. Getting a blessing: LDS male members who have the Melchezedick Priesthood can give blessings. They lay their hands on the heads of those seeking a blessing and, as guided by inspiration from the Holy Spirit, speak the words God would have the person seeking the blessing hear. Calling: A job, or assignment given to a member of a ward as inspired by the leaders of the ward or stake such as teaching the youth or children on up to being the Bishop or Relief Society president. Testimony Meeting: Monthly meeting where Mormon members have an “open mic” and can get up and share their witness of something spiritual. If you are a Mormon, you will probably think of many more things regarding Mormon lingo. Keep in mind, this is the first post that includes very basic Mormon phrases and words unique to Mormonism. I have 201 and later, 301 coming in the next couple weeks for the fun acronymns and other phrases that Mormons use when talking to each other. If I missed any basic phrases or words, or if you have any insights, feel free to leave a comment. In one of my recent posts on a CNN interview with former members of Mitt Romney’s congregation, a reader asked me if we as Mormons enjoy all the media coverage. I’ve seen people both excited about it, indifferent about it, and others who don’t want the Mormon church to be too exposed (as written about in the Washington Post article earlier this year). People are always curious about Mormons and what they believe, especially recently with Mitt Romney in the headlines. He usually shys away from talking about it. Personally, I wish he’d talk about it more because it would show his personal side of how he may have helped people. This report is a little old (April 2012), but I thought it was a good report on people’s experiences with Mitt Romney as their bishop. I read a very interesting article on a teacher who is non-Mormon that taught a college course in Germany on Mormonism. She discussed the attitudes of many of her students when she brought up the topic of Mormonism. Having been a missionary in Germany nearly 20 years ago, I wasn’t surprised to hear some of her examples such as Mormons being cultish, blasphemis, Mormons are only interested in other people to convert them, and so on. One stereotype I hadn’t heard, but can see why they said it was Mormons being overly concerned about money. The kicker was when she said a missionary came in and told the class God brought the Berlin Wall down in 1989 because East Germany was willing to allow Mormon missionaries into the country. As I removed myself from looking at that situation from a Mormon perspective and put myself into the situation of one of the students, I can completely see where the stereotypes come from. Many of us as Mormons appear cultish in that we clump together and don’t associate with people of other faiths. If we do associate with them, we try to proselyte to them and if they don’t accept, we dust our feet off and move on. Regarding the money stereotype, the scriptures always talk about obeying God and then being prosperous. Perhaps we put too much emphasis on the being prosperous part and not obeying God part. 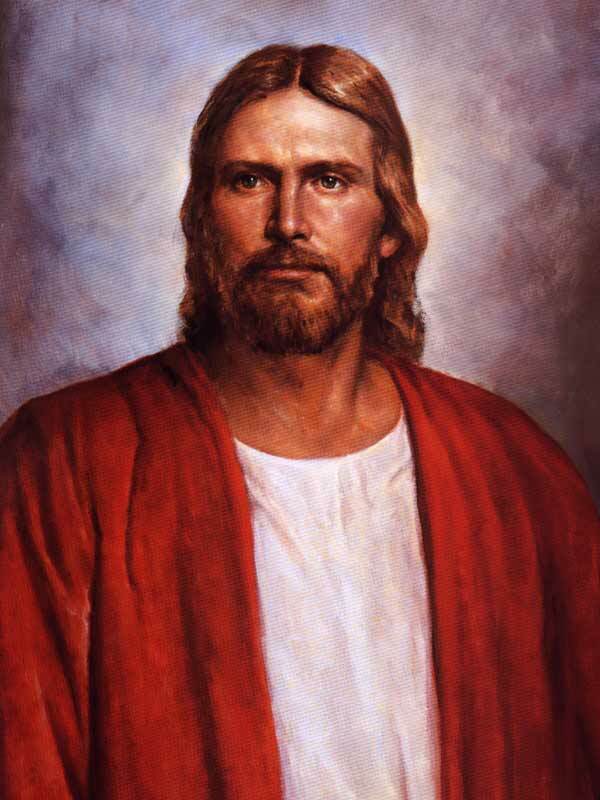 Finally, I feel there is also a sense of Mormons feeling they may be a bit better than other people in other faiths since we’re in the “one true church” and all good things that happen in the world are a result of the good Mormons (as alluded to by the missionary in the example). I hear Mormons scoff and complain sometimes at the fact that people have these stereotypes towards us, but maybe we are the ones who create those stereotypes.